Hit and run accidents are common and usually occur due to the carelessness of drivers. If the person at fault fails to stop at the accident scene, it may be difficult for the pedestrian to later identify the driver at fault. In car pedestrian accidents, a driver may lose control and collide with a pedestrian. And in most cases, when this happens, pedestrians suffer from catastrophic injuries. Therefore, they are unable to identify the driver and this may cause trouble while making claims against drivers. Bicyclists are vulnerable to serious injuries when hit by cars. 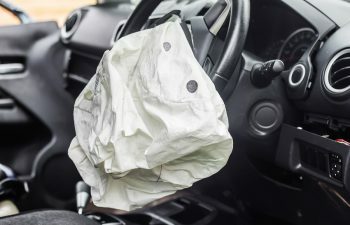 These accidents are usually caused because of the driver’s carelessness, in which he was unable to notice the bicyclist and opens his car door or bashes straight into them. However, car bicycle accidents can get complicated, as sometimes the judge instructs witnesses to figure out whether or not the bicyclist was engaging in hazardous acts, such as riding on the wrong side of the road, and ignored traffic signals. Car motorcycle accidents are similar to car bicycle accidents and sometimes require witnesses to determine which person is at fault. If the person riding the motorcycle sustains extreme injuries, it may be difficult to recognize the other person at fault. Other issues which may limit the injured victim’s right to file a lawsuit include government immunity, cellular phone usage, employer liability and owner liability. As you can see, filing for automobile litigation can get complicated, and at times special issues may limit your rights to file a lawsuit. Therefore, it is recommended you hire a professional personal injury lawsuit attorney, to ensure you get your due rights and receive appropriate financial compensation for your injuries.